The previous post showed that Novell is beginning to reveal more signs of vanity. It sees itself as Microsoft’s “chosen one”. This is the beginning of something rather bad, so here is a short explanation of the dangers. If Novell was ever to succeed in the Linux business (a goal which it certainly strives to achieve), Microsoft would be on its side, but Microsoft’s intention is to eliminate all Linux companies that do not ‘surrender’ to Microsoft. Then, having centralised all Linux threats inside a single company (or few submissive companies), Microsoft can ‘kill’ Linux as though it was a corporate entity. Watch what Microsoft did to Linspire. ”Microsoft is hoping to assemble all Linux users (currently spread across 500+ Linux distributions) in a single ‘box’ and then eliminate them.“Remember that Steve Ballmer characterised Linux as a bizarre competitor because there is no company behind it and therefore it’s hard to eliminate. Yes, Steve Ballmer said something along those lines a year or two ago. By throwing all eggs in the single basket which is Novell (e.g. Mono, ‘interoperability’, and Moonlight), Microsoft is hoping to assemble all Linux users (currently spread across 500+ Linux distributions) in a single ‘box’ and then eliminate them. 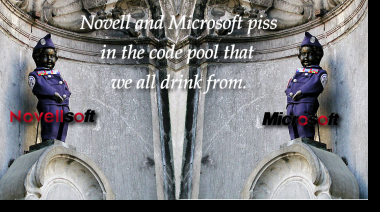 To use a sensitive analogy, Novell is the concentration camp of GNU/Linux. Godwin’s law hopefully does not apply here. Moonlight and Mono are interesting components because Moonlight will be required for Linux users to access some Web sites. These users have to go through Novell first. Novell has been quiet about this gotcha phrase until we pressured them to spill these beans. Microsoft hopes to kill and suppress all Linux that is not Novell. 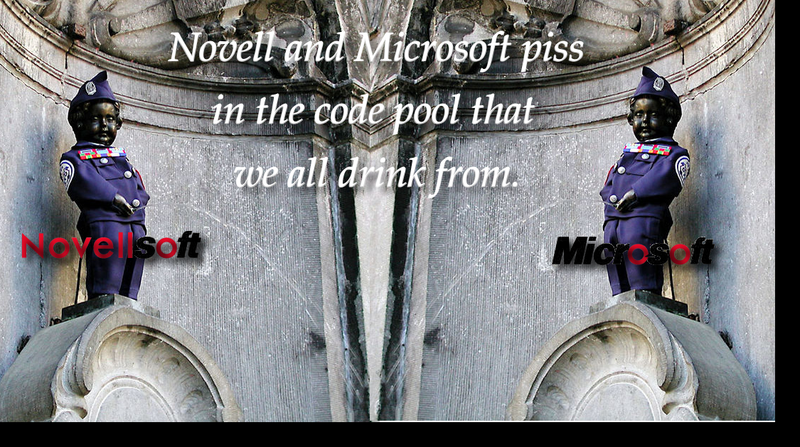 Until then, Novell will brag about its gifts from Microsoft and hope that all money will flow its way. That’s where Novell's selfishness and arrogance becomes the worst threat to Linux. As for Novell’s Linux, under Microsoft control (tax, patents, etc. ), it will be an easy target to eliminate. Microsoft has a plan. Novell has greed. But Novell has no future.